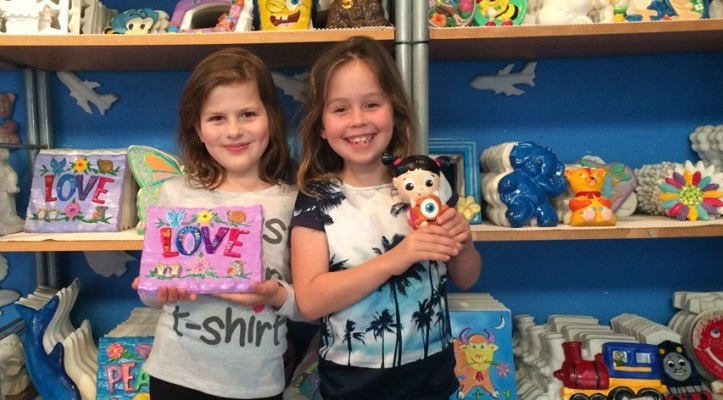 The spring school holidays see a lot of activities for children to participate in and for those that love craft and making things, here are some ideas to keep them busy. Those small yellow creatures with the blue overalls from the Despicable Me movies sure are popular and, with a spin off named after them, they're not going away anytime soon. During the holidays they get out and about to entertain you outside the cinema. 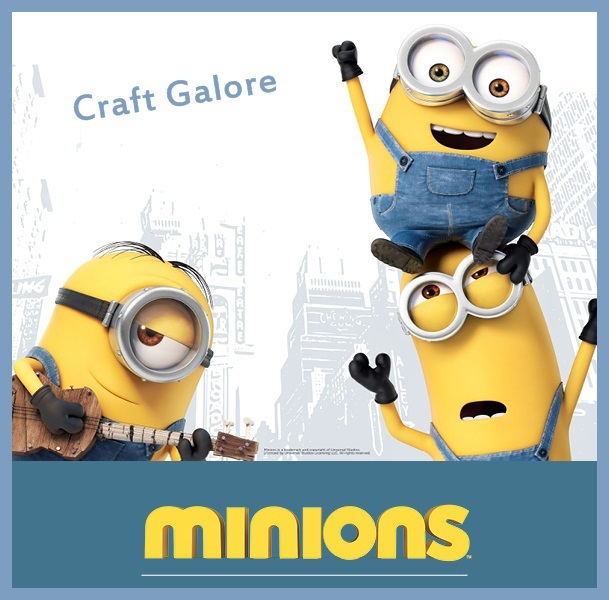 From 11.30am daily, 21-25 September at Rhodes Waterside Shopping Centre, children will be able to meet Stuart the Minion near the food court then from 12pm-3pm the Minions Craft Zone will allow them to participate in a different craft each day and take home what they make, all for free. Come 28 September, they scoot on over to Top Ryde Shopping Centre and spend a week in their Minions Craft Village. See them at 11.30am, 12.30pm and 1.30pm and take part in some free activities from 11am-3pm. The last weekend in September sees moon festivals popping up around some of Sydney's suburbs and it is timely that the Chinese Garden of Friendship in Darling Harbour is putting on a workshop, from 11am-1pm, for children to create and decorate their own Chinese lantern to take home with them. They can also colour and cut out a moon goddess and participate in story time, from 12pm-1pm, with a costumed storyteller telling the legend of Chang'e and how she became a moon goddess. The above are on Monday to Friday, both weeks of the school holidays and are free with the cost of entry to the gardens. 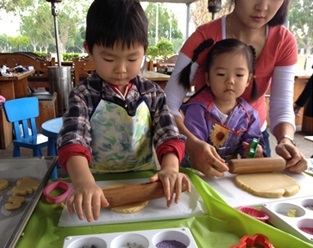 Part of the Kids in the Park (Sydney Olympic Park) school holiday activities, Lilies on the Park cafe at Waterview in Bicentennial Park is putting on cooking classes where little chefs can roll dough and make cookies, decorate them and the bags to put them in. Pizza and pasta classes are also available for them to make their own mini pizza and craft dried pasta whilst their waiting for their lunch to cook. These classes are for 2-5 year olds and each costs $22 per child. For days, times and to book, call 02 9764 9900 or email cafe@waterviewvenue.com.au. If they prefer cupcakes and cake pops, then over at Mosman they can learn how to prepare cakes, gain techniques on dipping pops and decorate with Belgian chocolate, fondant shapes and sprinkles. These courses at The Classic Cupcake Company in Raglan Street are $60 per child and great for ages 9-15. Course duration is 2 hours and parents can catch a break at the cafe or browse the local shops. More info can be found at www.theccc.com.au. 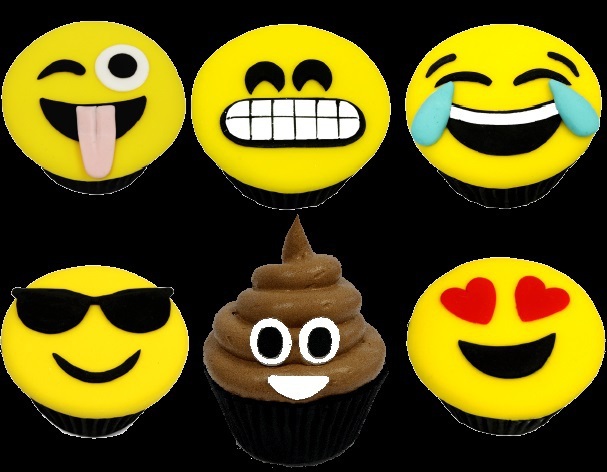 If Mosman is too far for you, Cake Decorating Solutions have a special Emoji Cupcake Course for kids and parents on at all of their stores, from Liverpool to Caringbah, Rosebery to Northmead. If you're asking what an Emoji is, it is one of those numerous smiley faces out there that express different emotions. At only $39 per person, it is good value and you'll make 6 cupcakes to take home that include a sad face, along with some humorous faces. An apron and hat are provided for use and to take home. Minimum age is 8 years. The course calendar and store details can be found at www.cakedecoratingsolutions.com.au. The Art Studio at Maroubra Beach has a variety of crafty activities where children can do one workshop from 9.30am-12.00pm or two workshops in one day from 9.30am-3pm. The program consists of canvas painting, learning how to draw comics, how to sculpt with clay and create animals or pots, designing colourful masks, T-shirt painting, making collages, mosaic frames and bead making. This is a great chance for your child to express themselves and develop visual skills, with prices ranging from $50-70. Suitable for 5-12 year olds, bookings can be made by phoning 0403 710 327 or going online at www.theartstudio.net.au. A beary unique experience awaits, creating a new furry friend and personalizing it with a selection of fashions and accessories. After choosing from Disney Princess Bear, Rainbow Hugs Bear, Furever Hearts Bear or many other unique bears, stuff your bear with all manner of things and then dress it up to your desire. Bears start from $15 and stores can be found at Westfields - Miranda, Penrith and Warringah Mall – as well as Castle Towers Shopping Centre at Castle Hill. Perhaps build your bear as a gift to a friend or to celebrate a new baby. As well as bears, they also have bunnies, dogs and cats, and dolls to decorate. Their website, www.buildabear.com.au, has all the details. In the Entertainment Quarter at Moore Park is the Plaster Painting Studio where you can choose a piece to paint from over 300 items. Including 3D figurines, plaques, picture frames, candle holders and money boxes, prices range from $8-25 per piece and include paint, gloss and glitter. 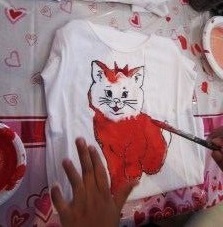 Painting smocks are provided. They also have special $12 themed days. These you need to book in for. Visit the website at www.plasterpainting.com or phone 0415 944 498 for dates. The studio is open from 10am-5pm, 7 days a week and is adjacent to a children's playground.